1). 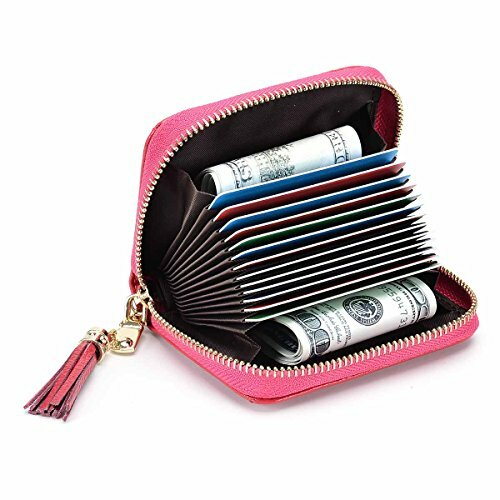 Genuine cowhide zippered wallet with 15 card slots, big enough to hold your credit card, business card, shopping card, health card, discount card and so on; 2). 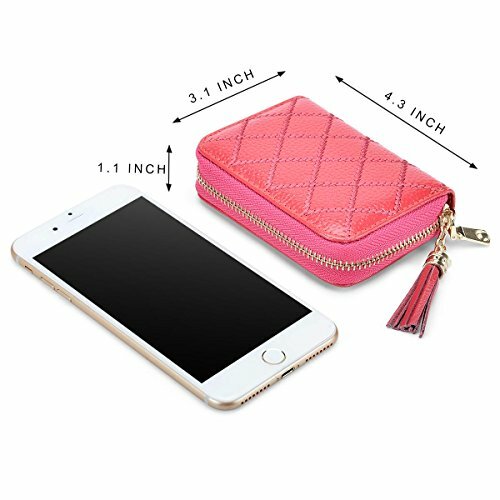 Compact Size: 10.7x8x2.7cm (4.21x3.14x1.06in), Weight: 110g(3.88oz), perfect to hold it on hand or put in your bag; 3). 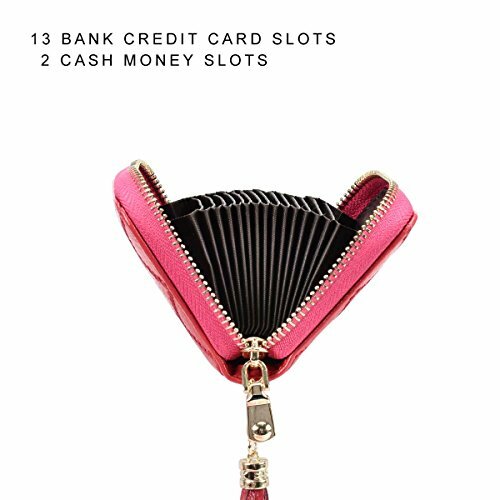 Accordion style multi-storey fold structure: Totally 15 Card Slots including 13 credit card slots and 2 cash slots;	4). 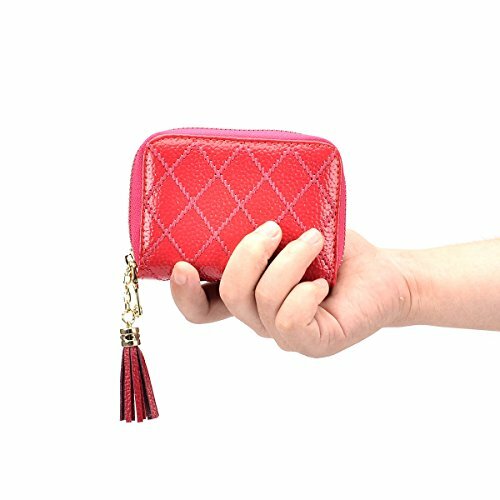 RFID Blocking: Keep your card from identity theft, prevent unauthorized RFID NFC and BLE scans your personal information, protect yourself from strangers in public places; 5). 100% money back guarantee: We offer 30-days money back and 1 year warranty, any question please feel free to contact us, we are always here to help. 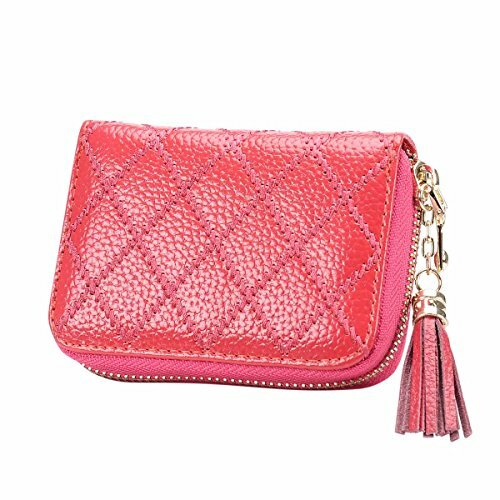 For ladies to sort out all the cards and change, one bag in hand. Note: Please allow a little color deviation due to different computer screens. 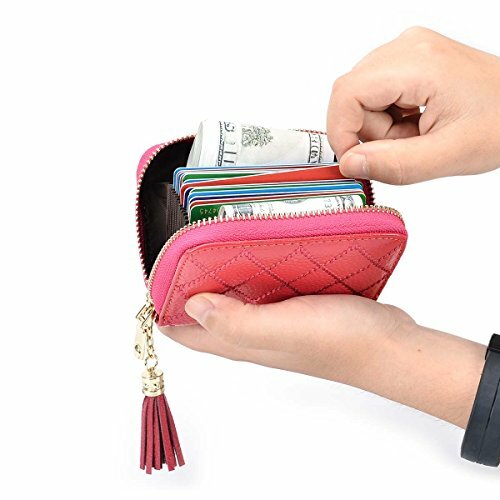 which block RFID readers from scanning your credit cards, debit cards, banking Information, smart cards, RFID driver's licenses and other RFID Cards. Any question pls feel free to contact us, we are always here to help.